When you’re traveling internationally, packing can become an exercise in anxiety. What do you take? What should you leave behind? As long as you remember these six must-haves for your jet-setting adventure, you’ll get through your trip just fine. 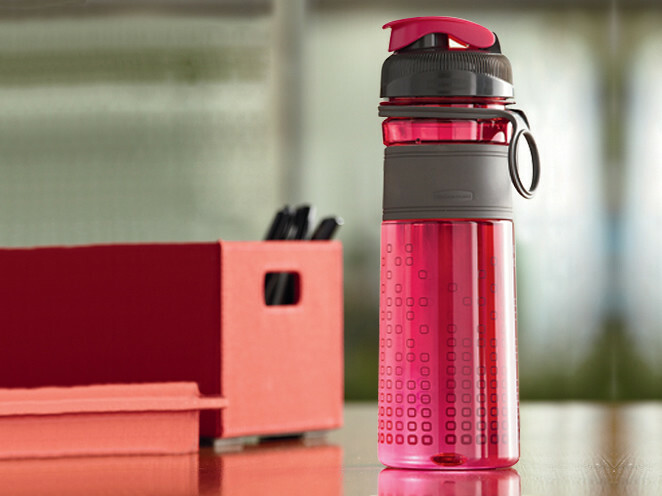 A reusable water bottle helps you stay hydrated while you’re in a foreign country and encourages you to fill it up on a regular basis. This becomes particularly important if you’re travelling to a hot or humid climate because you’ll get dehydrated faster. Choose a sealable model with extra insulation for the best performance. You might also pack a few small food containers. While you’re exploring your destination, you can snack on chips, carrot sticks, pretzels, or other snacks that you’ve sealed in a plastic container. They’re light and easy to carry, and you won’t have to stop at convenience stores or supermarkets for individual-sized snacks. If you take any prescription or over-the-counter medications on a regular basis, don’t forget to pack them. Overseas pharmacies work with different rules than pharmacies in the United States, so even if your doctor can call in a refill, the pharmacy in your destination country might not comply. According to the TSA, both pill and liquid medications are perfectly permissible, but make sure you tell security you have them. Keep your medication in your carry-on bag. Not only will this allow you to access your medication when you need it, but you also won’t subject your meds to the high temperatures in cargo holds. Many medications require specific temperature ranges to remain viable. You probably don’t go many places without your smartphone within arm’s reach, so don’t forget it when you’re headed to the airport for an international flight. Not only can you get internet access on your phone, but this gadget can also become a lifeline as you travel overseas. When you have an essential smartphone like T-Mobile’s Samsung Galaxy S7, which relies on a fast, reliable network, you can download travel apps to help you stay organized and safe. A few important apps to download on your phone include currency conversion, language translation, and map apps. You can also download apps related specifically to your destination country. When you travel internationally, you must have your paperwork in order. From your driver’s license or state identification card to your passport, you’ll have to show these documents to several authorities along the way. If you lose any of those documents after you arrive abroad, you’ll thank yourself for making copies in advance. You can visit a local U.S. embassy or consulate with your copies so you can get new travel documents. It might eat up a portion of your vacation, but at least you’ll be able to get home. Keep the copies in a secure place and don’t let anyone you don’t know have access. If your hotel has a safe, consider locking the documents inside it. International travel almost always translates to long flights. You’ll want a way to keep yourself entertained while you’re in the air, so load up your smartphone or e-reader with several books, magazines, and other reading materials. You can also watch your favorite videos on your mobile device if you preload them before you leave. Bringing your smartphone with you on your vacation or business trip won’t help if you leave the charger at home. Make sure you pack a charger for each device you bring with you so you’re never stranded without power. Group them together in a nylon or plastic bag so you can find them easily in your luggage. Additionally, research your destination country to find out if you need an adapter. Some countries, such as those in Europe, have different outlets, so you might need a converter to successfully charge your device. Traveling internationally can create the perfect escape and adventure, but only if you pack efficiently. Bringing the above items with you will reduce your stress levels and let you concentrate on having fun. First Time Travelers! Here’s Your Own Personal Travel Guide For Singapore!